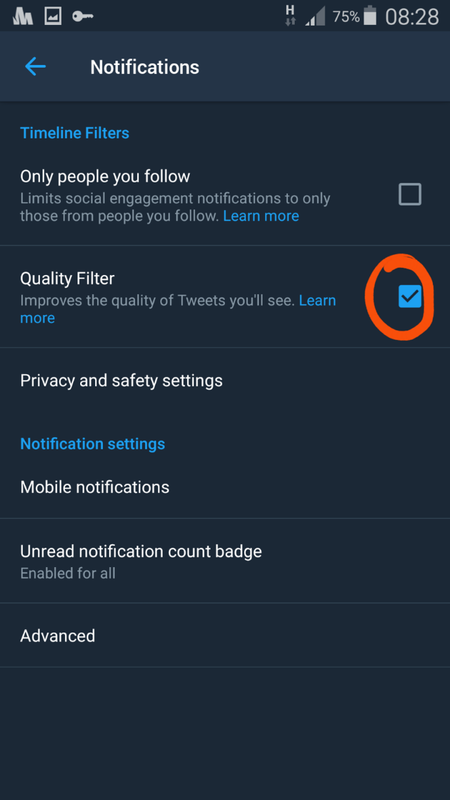 If you updated your Twitter app recently and you find for some reason you aren't seeing all your mentions or interactions with other Twitter users, it might be as a result of Twitter new Quality Filter feature. The Quality feature was introduced by Twitter to combat trolling and abuse on Twitter, and what it does is that it automatically filters out tweets from users who don't usually interact with or are of low quality, duplicate tweets or automated. 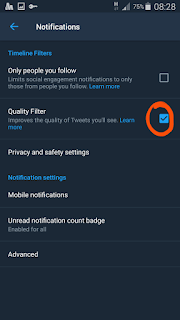 As good as Twitter believes it's algorithm is, sometimes it vould filter tweets that we want to see but luckily you can disable the Quality filter. 1. Go to the Settings page.